Your Private Wineaux had the pleasure of leading a tasting session for Friends of the Black Pearl Chamber Orchestra on December 1, 2011. Attendees had the opportunity to taste wines representing the six most common grape varieties (Sauvignon Blanc, Chardonnay, Pinot Noir, Merlot, Cabernet Sauvignon, and Syrah/Shiraz) while learning the basics of formal tasting and a beginning vocabulary for discussing what they’ve tasted. They also got to ask a wide range of questions about the winemaking process, regions, food pairing, and wine styles. The six wines tasted are grouped together as an “event” on CellarTracker. 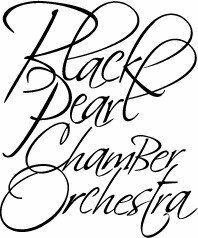 That event can be found here (under the title “Friends of Black Pearl Chamber Orchestra Wine Tasting“) General notes are provided, and attendees are encouraged to share their notes as well.